Pallet wood is also to resolve you bigger storage problems as it is too handy to construct awesome storage units, racks, cabinets and even the storage wall shelves out of it! 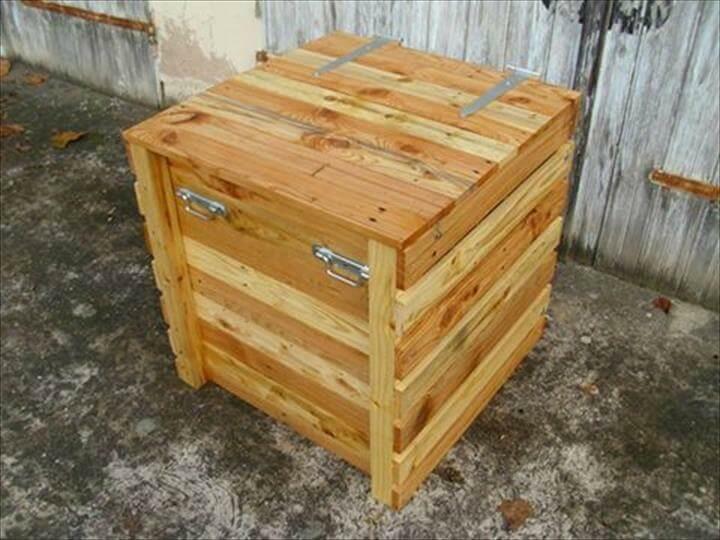 We have brought his DIY pallet chest for you to let your know that how you can built amazing storage-friendly furniture with pallets. 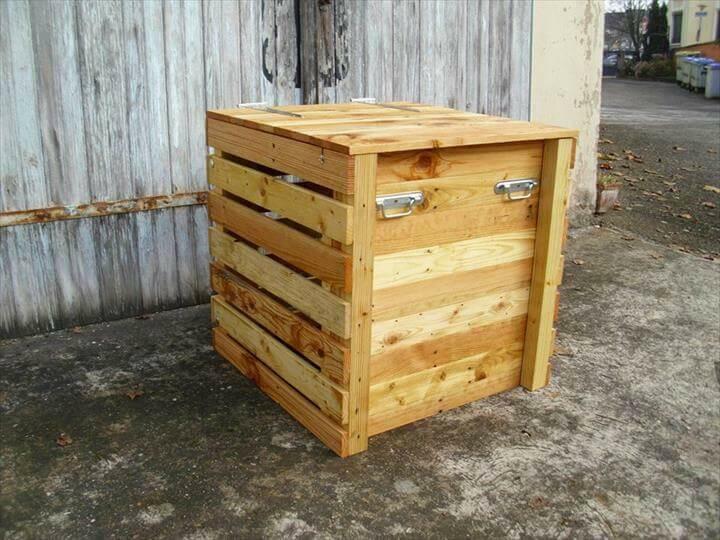 Make the pallet boards separated apart to have lots of removed slats or individual pallet lengths, reinstall them to this box like shape for a beautiful storage unit! It can also serve you as pallet keepsake box or jewelry chest, choices are always yours! 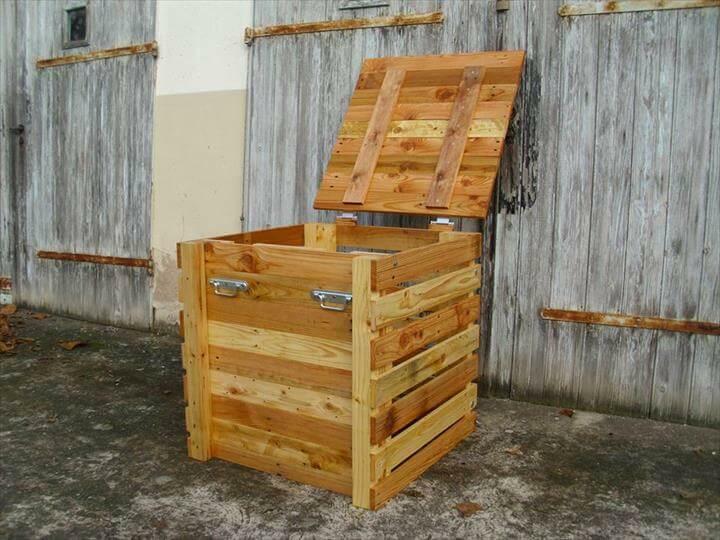 This Eco-friendly pallet furniture or storage unit comes with steel hinged top and two steel handles have also been provided for ease of handling and carriage! Wood comes with smooth brighter look and splinter free nature due to sandpaper work done on it! Make it painted or stained to save the integrity of wood for a long time, once you have it, you will definitely love to live with it!